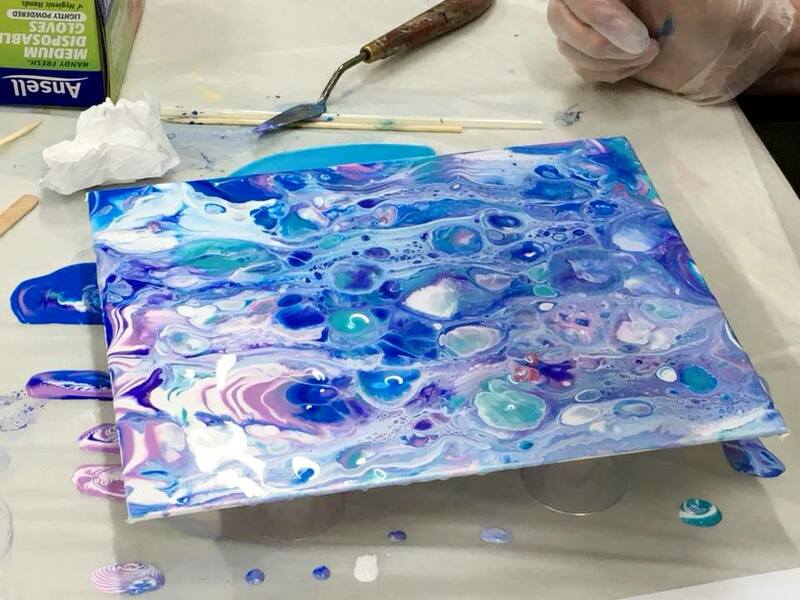 Reminding all that our first Monthly Meeting for 2019 Acrylic Pouring and Resin with Deidre Morrison is coming up tomorrow, Tuesday 12th February, 7:30pm at the Stan Stevens Studio, Deerubbin Centre, George St, Windsor. 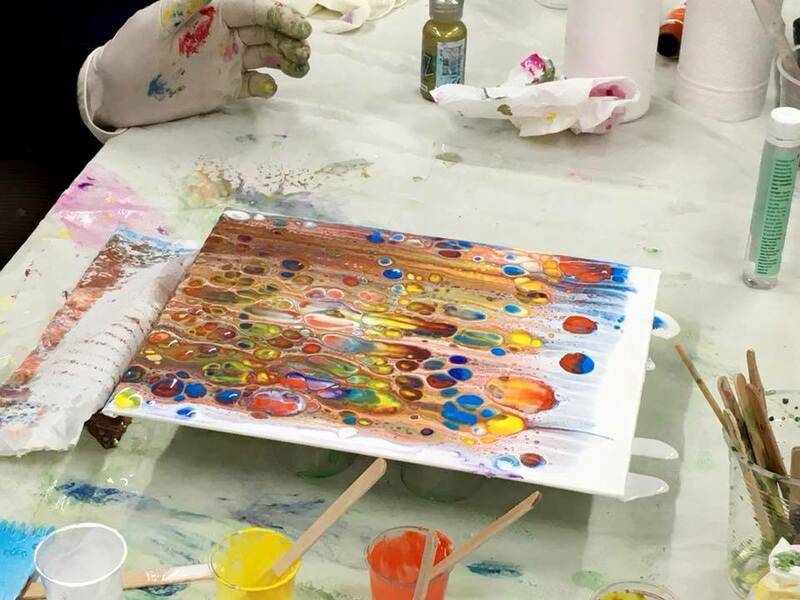 For the Acrylic Pouring Deidre will demonstrate how to combine acrylic paint and mediums to be able to watch the cells on your masterpiece come to life. Explore fun and addictive techniques of ‘dirty pours’, ‘flip cups’ and ‘puddle pours’. 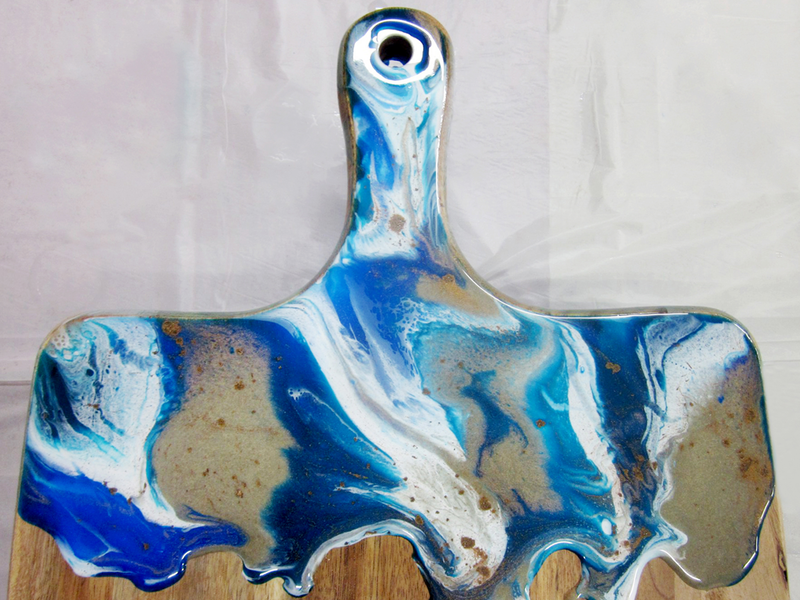 Art Resin is a safe and easy to use, wonderfully creative medium that anyone can use to get amazing results every time. It can be used to enhance and decorate many different surfaces and items such as art canvases, cheese boards, coasters, trays and furniture. Deidre Morrison is an artist and an art teacher. 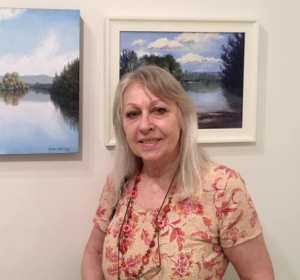 She holds a Diploma in Art Education and co-owns Richmond Art Supplies, the Art Shop in the main street of Richmond NSW. Deidre is proficient with many mediums – oils, watercolour, acrylics, pastel, pencil, charcoal, screen-prints, drawing, illustration, murals, posters, print making, printed cloth, greeting cards and crafting. 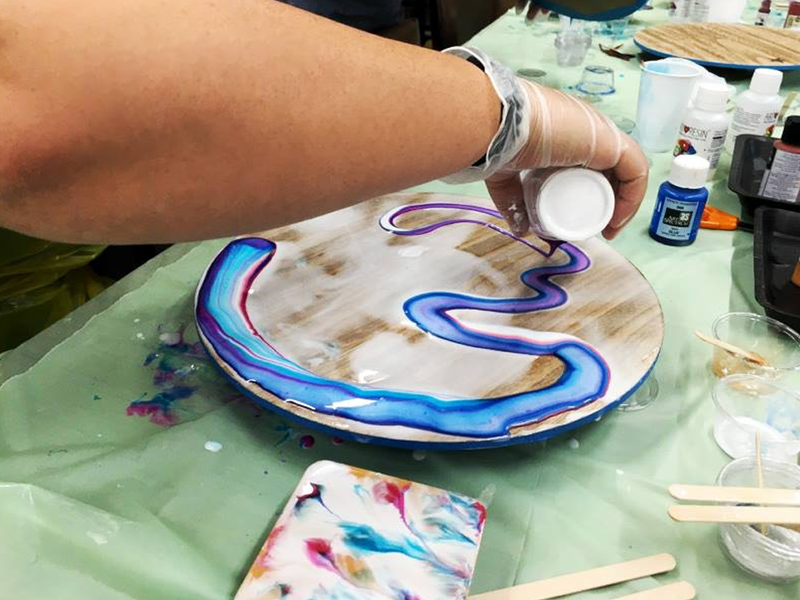 Deidre runs regular workshops in Acrylic Pouring and Resin techniques at Richmond Art Supplies. Both members and non members are welcome to join us for our meetings to view an inspirational artist at work each month, as well as the opportunity to enjoy networking with like-minded art enthusiasts. Please remember to park outside the car park due to early closure. For inquiries phone Kym 0413 809 685. Look forward to seeing you there.